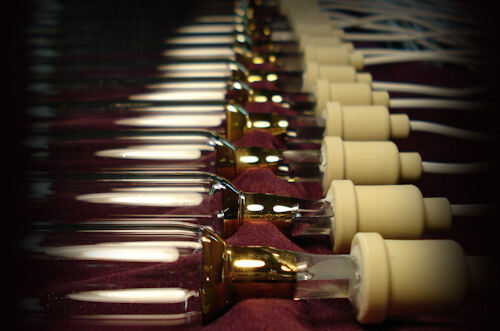 Metal halide lamps are type of medium pressure mercury arc lamp (with electrodes) in which the spectral output is modified by addition of metal halides to the bulb contents. The most common dopant is an iron halide, which enhances output in the UV region and gallium and indium where output has been shifted strongly into the visible region. Figure: A illustrate spectral output of iron-doped lamp. Figure: B illustrate spectral output of indium-doped lamp.